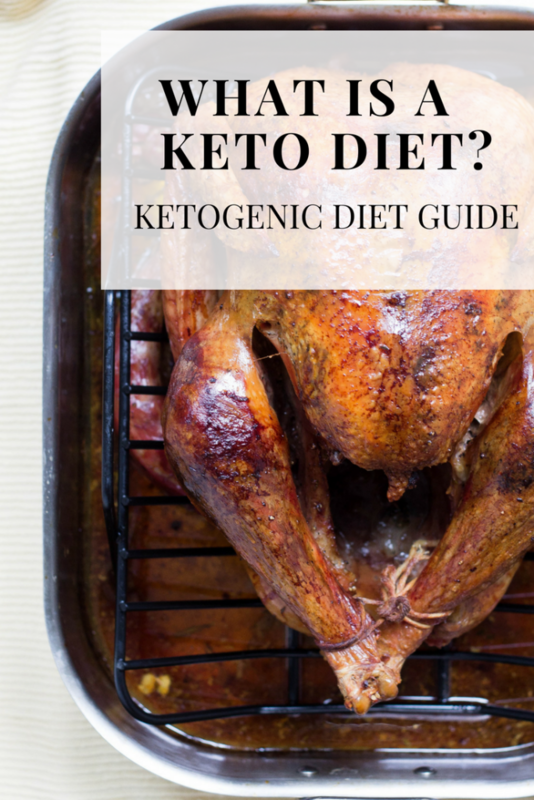 Home » Blog » What is a keto diet? A beginner’s guide to the ketogenic diet. What is a keto diet? What is a ketogenic diet? What is ketosis? These are questions that I get on a daily basis. I realized that I never really discussed what a keto diet is. I jumped full force into sharing keto diet recipes and keto diet tips. Below is a recipe that I originally wrote over on my other blog The Keto Queens with my friend Faith. Below is our keto beginners guide. It’s packed full of information to help you understand a little more about keto diets and ketosis. What is a keto diet? A keto diet is a low carb diet which forces the body to produce ketones to be used for energy. Ketones are produced in the liver from fatty acids. The ketogenic diet is also referred to as keto diet, low carb diet, LCHF (low carb high fat), ketosis diet. There are other forms that have branched off from the keto diet such as Carnivore diet, no carb diet, cyclic keto diet and targeted keto diet. Before you start reading this (lengthy) post, be sure to read our keto start here post. This will give you a brief overview of a ketogenic diet and a less science-y version. 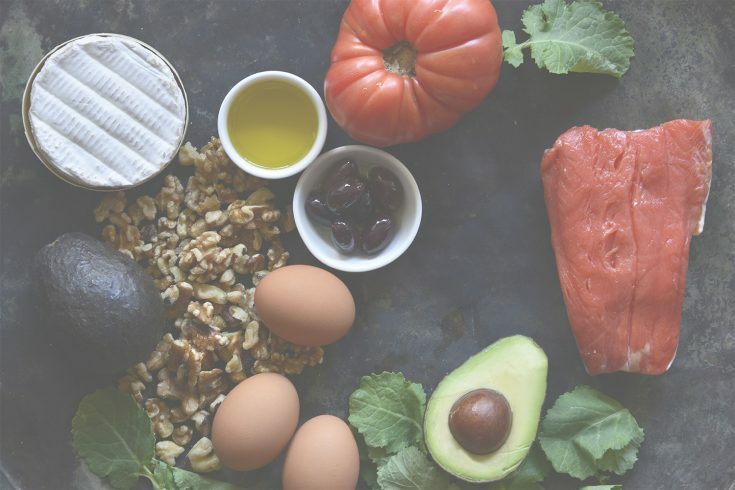 If you just want to know the bare minimum to start a keto diet, check out our ketogenic essentials page which links to all of our favorite posts to get you started! Over the past few years, we have seen how the health and wellness landscape changed. People have become more conscious of the food they put into their bodies. Regardless as to whatever reason individuals have for choosing different diet regimens and food options, health has always been the primary concern. In the recent years, we have become familiar with diets like Atkins, Paleo, and the South Beach diet. We’ve even seen celebrities promote these diets! Now the keto diet is the new kid on the block. It’s all the rage, but does it stand up to all of it’s hype?! The ketogenic diet is another diet plan that has been gaining popularity in the recent years. So, what is ketogenic diet? What makes it different from other diet plans? Here are some important things you need to know if you’re planning or know someone who is taking this diet plan. What is a nutritional ketosis? Nutritional ketosis is when your body uses fatty acids and ketone bodies as it’s primary fuel source instead of running on glucose. This occurs when carbohydrates are restricted and ketone bodies are produced in the liver. Ketone bodies acetoacetate (AcAc) and D-β-hydroxybutyrate (βHB) are 2 of the 3 ketone bodies produced and act as an alternative fuel source. The metabolic actions of ketone bodies are based on sound evolutionary principles to prolong survival during caloric deprivation. Prior to ketogenic diets being used to treat epilepsy, ketone bodies were only normally present in times of starvation. Now keto diets are being used no only to treat epilepsy, but diabetes, parkinson’s, dementia, Autism, Depression, weight loss, exercise performance and so much more! Ketogenesis is the production of ketone bodies. Ketones bodies are fat-derived, water-soluble, insulin-independent, glucose-equivalent fuel that can be used by the brain. This adaptation is associated with a small loss of the ketoacids into the urine (100-150 mM/day or 40-60 calories/day) (2). This is why when you first start a keto diet, you will test positive your ketones in your urine. Ketone bodies produced in the liver are more properly referred to as endogenous ketone bodies (3). Exogenous ketone bodies are just ketone bodies that are ingested through a nutritional supplement. They are made outside the body. Technically you can be on a high carbohydrate diet, ingest exogenous ketones and then be in a state of ketosis within 30 minutes or so. Most supplements rely on BHB as the source of their exogenous ketone bodies. BHB is converted to acetoacetic acid and then some quantity converted to acetone through a acetoacetate decarboxylase waste pathway, the acetone will be excreted. Some of the acetoacetic acid will enter the energy pathway using beta-ketothialase, which converts acetoacetic acid to two Acetyl-CoA molecules. The Acetyl-CoA is then able to enter the Krebs cycle and generate ATP. Exogenous ketone body supplements provide users with an instant supply of ketones. Even if you’re not in a state of ketosis before ingestion (such as when eating a higher-carb diet) (4). The classic ketogenic diet is a high-fat diet developed in the 1920s to mimic the biochemical changes associated with periods of limited food availability. The diet is composed of 80–90% fat, with carbohydrate and protein constituting the remainder of the intake. The diet provides sufficient protein for growth, but insufficient amounts of carbohydrates for the body’s metabolic needs. Energy is largely derived from the utilization of body fat and by fat delivered in the diet. These fats are converted to the ketone bodies β-hydroxybutyrate, acetoacetate, and acetone, which represent an alternative energy source to glucose (3). How does the body make ketones? Most animal cells can make cholesterol, but most cholesterol is made in the liver. Short chain and medium chain saturated fats are converted to ketones in the liver, and some of these ketones are used to make cholesterol. Ketones (not glucose) are also the preferred source of energy for virtually all cells in the body, including the brain. A large part of a normal healthy human body consists of fats and cholesterol. Almost half of the walls of cells (cellular membranes) are made of cholesterol; saturated fats are another major component of all cells (3). What are Ketogenic diets being used for now? The ketogenic diet is well established as therapy for intractable epilepsy. It should be considered first-line therapy in glucose transporter type 1 and pyruvate dehydrogenase deficiency. It should be considered early in the treatment of Dravet syndrome and myoclonic-astatic epilepsy (Doose syndrome). Initial studies indicate that the ketogenic diet appears effective in other metabolic conditions, including phosphofructokinase deficiency and glycogenosis type V (McArdle disease). A growing body of literature suggests the ketogenic diet may be beneficial in certain neurodegenerative diseases, including Alzheimer disease, Parkinson’s disease, and amyotrophic lateral sclerosis. In these disorders, the ketogenic diet appears to be neuroprotective, promoting enhanced mitochondrial function and rescuing adenosine triphosphate production (5). Do ketogenic diets have therapeutic properties? Dietary therapy is a promising intervention for cancer, given that it may target the relative inefficiency of tumors in using ketone bodies as an alternative fuel source. The ketogenic diet also may have a role in improving outcomes in trauma and hypoxic injuries (5). What are signs that you are in ketosis? Is a Keto Diet Dangerous? Ketosis simply means that your body is producing ketone bodies. You’re burning fat instead of glucose. Ketosis isn’t necessarily harmful to your health. While ketosis itself isn’t particularly dangerous, it’s definitely something to keep an eye on, especially if you have type 1 diabetes. Ketosis can be a precursor to ketoacidosis, also known as diabetic ketoacidosis. Ketoacidosis is a condition in which you have both high glucose and high ketone levels. Having ketoacidosis results in your blood becoming too acidic. It’s more common for those with type 1 diabetes rather than type 2. Once symptoms of ketoacidosis begin, they can escalate very quickly. Are there any negative side effects of a ketogenic diet? Like any other diet, ketogenic diet may have side effects because your body is adjusting to a new way of eating. There are short-term effects that are evident when you fist start the diet. There are, however, long term effects for individuals who have taken ketogenic diet for certain period of time. Since the therapy has been excessively done for children who have cases of epilepsy and seizure, kidney stones, also known as nephrolithiasis, are a common complication for children following the diet, with approximately 5% of patients suffering from the condition. It is, however, treatable and the current recommendations suggest that the diet should be continued. Additionally, patients have an increased risk of bone fractures. This arises from the altered levels of insulin-like growth factor 1 and the effects of acidosis. Acidosis leads to the erosion of bone, weakening the bones and leaving them prone to fractures. In order to manage these side effects, supplementation of vitamins and minerals are routinely administered to patients following the ketogenic diet. This commonly comprises of a multivitamin, calcium and vitamin D supplements. For adults following the ketogenic diet, the most common complications include weight loss, constipation and increased levels of cholesterol. Women may also experience amenorrhea or other disruptions to the menstrual cycle (7). What does the future hold for ketogenic diets? While there have been several studies that have been done to validate the efficacy of the ketogenic diet, there are still unanswered questions from medical practitioners about the diet. Since the ketogenic diet has been used for decades to control seizures for epileptic child patients, questions such as length and duration of implementing the diet to confer long-term benefit is still uncertain. The future is looking bright for weight loss and diabetes. Virta Health just published a research article chronicling their 1 year study of patients with type 2 diabetes. The results were astonishing! 218 participants (83%) remained enrolled at 1 year. Insulin therapy was reduced or eliminated in 94% of users!!! Usual Care (education from doctors and diabetes education program) group participants had no significant changes in biomarkers or T2D medication prescription at 1 year. This goes to show that a ketogenic diet can COMPLETELY out-preformed the standard of care which is the diabetes education programs provided by certified diabetes educators and other diabetic educators. This is just one of many articles being published about the potential benefits of a ketogenic diet. If you need help getting started on a ketogenic diet, please feel free to reach out to me at Lara [at] LaraClevenegr [dot] com. I will get you started on a customized ketogenic diet to fit you personal goals. Or if you already know what a keto diet is and just need help getting into ketosis quickly, check out our 3 day meal plan to get you into ketosis quickly. We also have a keto diet shopping list that will help take the confusion out of what you can eat on a keto diet. Freeman, J. M., Vining, E. P., Pillas, D. J., Pyzik, P. L., & Casey, J. C. (1998). The efficacy of the ketogenic diet—1998: a prospective evaluation of intervention in 150 children. Pediatrics, 102(6), 1358-1363.